What are these “Collections” you speak of? What’s a Collection? It’s a list! And it’s a simple way to organise your books on your ebook reader. Collections let you organise your books to find them more easily; very handy if you like to keep your entire library with you at all times! You’ll find them at the top of your Library (center button > Library, or from the Home of your Cybook “See all” to the right of “Library”). As you probably know, you can use folders to organise your library (find them at the bottom of the Library), just like you do with files on your computer. So what’s the difference between the two? Simple. Folders let you organise your ebooks (the files themselves) just like you would organise paper books in shelves. If you put an ebook in one folder, you can’t put it in any others, unless you make a copy. A Collection, on the other hand, is like a shortcut to the file. So without moving or copying the file, you can add an ebook to as many Collections as you like! Bonus tip: is organisation your super-power? Do you have the soul of a slightly OCD librarian (no judgement)? Use both folders and collections for a library organised to within an inch of its life! To create a new Collection, in your Library (center button > Library) choose “My Collections” at the top of the list. Then tap the Collections button next to the magnifying glass, select “Create Collection”, and give it a name. Your new collection is added to the list, ready to fill with books. First option, starting from the Collection: select the Collection you want to add to from the list, then the “Collections” button again, and choose “Add Book(s) to the Collection”. Tick the boxes to the right of all the books you want to add (you can turn the pages of your library to add as many as you like), then confirm with the “Add book(s)” button at the bottom of the screen. Second option, starting from the book: in your library, long-press the book you want to add to open the contextuel menu, then choose “Add to Collections”. Tick the box of the Collection(s) you want to add it to and confirm with the “Add Book” button. You can add the same book to as many collections as you like! Collections are great for finding your books based on whatever criteria matter to you! 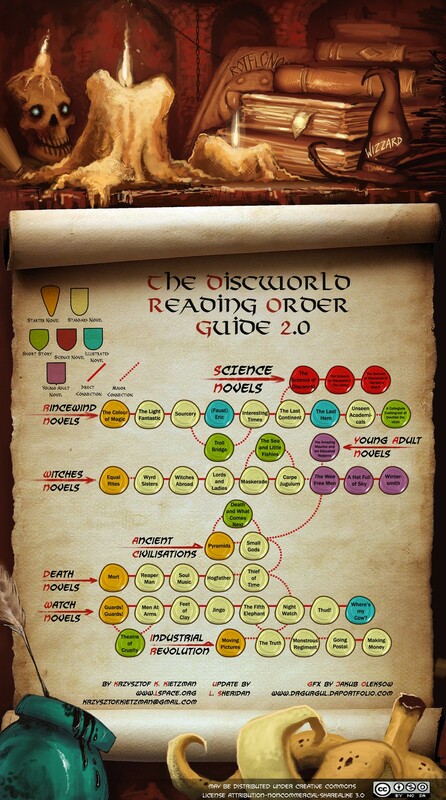 Do you read a lot of series with countless books (Disc-World fans, I’m looking at you 😉 )? Collections will let you keep your series all together or even make lists of certain books from the series (a collection of all the Watch books maybe? 😉 ). Do you like to participate in reading challenges? Do you have a reading list for a class, or for work? Do you like to keep a few books with short stories or essays handy for the odd 5-minute read when you’re queueing somewhere or are only travelling 3 stations? Want easy access to your Desert Island 10? Collections have got your back. Bonus tip: if you make Collections for your series, you can add the book number at the beginning of the file name and sort by File Name to find your books listed in order. What about you? How do you use Collections? Previous Post2007-2017: The Cybook Gen3 is 10 years old!Next Post#CybookParade: 2017 in pictures! I dont. they should be created automatically – at least by author and series – are you planning on something like this? thanks for your feedback. We are currently brainstorming about ways to improve Collections, I will pass along your message. 🙂 For series it’s a bit complicated because currently the series information is not available in the meta-data, but we are trying to figure out a good way to resolve that. For authors, it’s not the same as Collections but don’t forget you can sort your library by author already, so all the books by the same author will be together. Collections can be useful for making lists based on more personnal criteria which are not as easy to make automatically! Thanks Lev for this feedback about your preferences. I will also pass along this information, although I am not sure that any modifications to the file browser are planned. But your Cybook should remember the last folder you were browsing, so if all your books are in the “Books” folder used by Calibre, you only have to navigate there once. Don’t forget you can also search your library (tap the magnifying glass at the top of the screen), this can help you find all the books by an author (for instance) without navigating to the folder. And you can also jump to a specific page of your library (in any view), the shortcut is to tap the page number at the bottom of the screen, this will bring up a numerical keypad where you can enter the page number. I know it’s not as simple a solution as shortcuts but maybe it will help! Concerning Calibre, I am pretty sure you can tell Calibre where to send your ebooks, check in the settings (or ask the Calibre team, they are pretty responsive on twitter: @Calibreforum. I believe you can also tell Calibre how to organise your library (which kinds of folders to create) when it sends books to your Cybook. As a short-term solution that could be helpful for you.